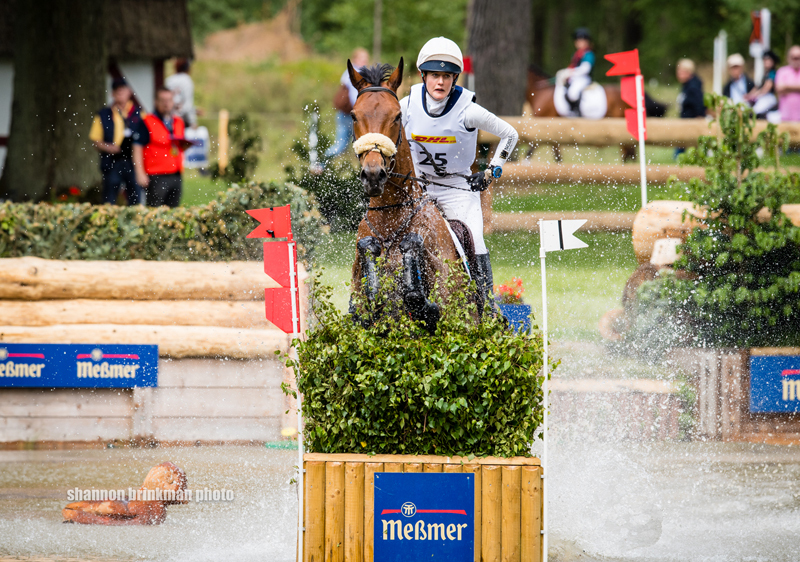 U.S. rider Boyd Martin took the lead after a phenomenal double-clear round in today’s four-star cross-country. 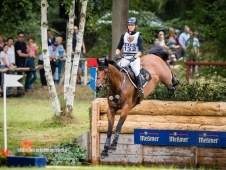 Boyd Martin and Shamwari 4 jumped to first place with a double-clear cross-country round at Luhmühlen. All photos by Shannon Brinkman. 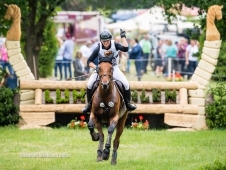 “Shammie” hasn’t had a four-star outing since two years ago in Kentucky, and Martin has focused on keeping the 16-year-old Swedish Warmblood gelding sound and happy. 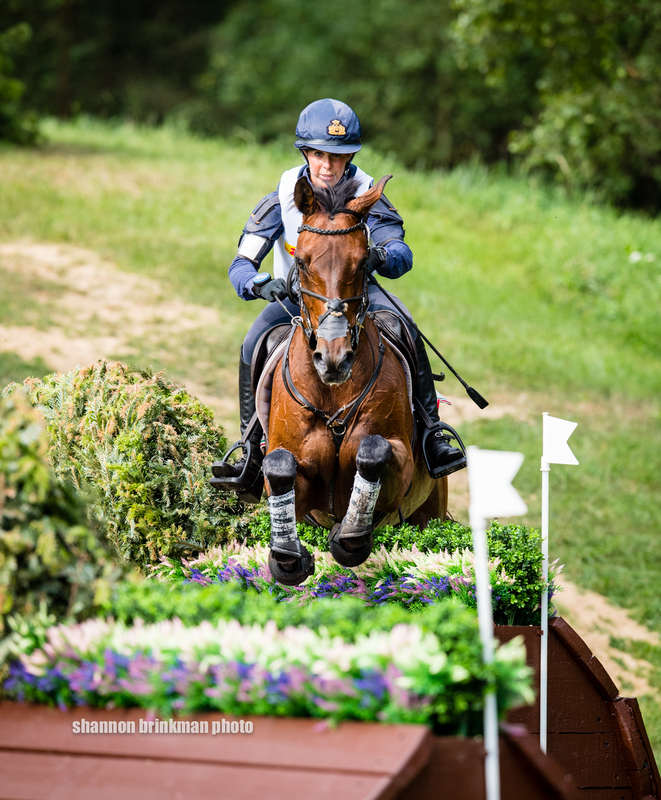 A handful of intermediate and two-star runs combined with schooling Martin’s course at home at his Windurra farm in Cochranville, Pennsylvania, was all the prep the pair needed for Luhmühlen. 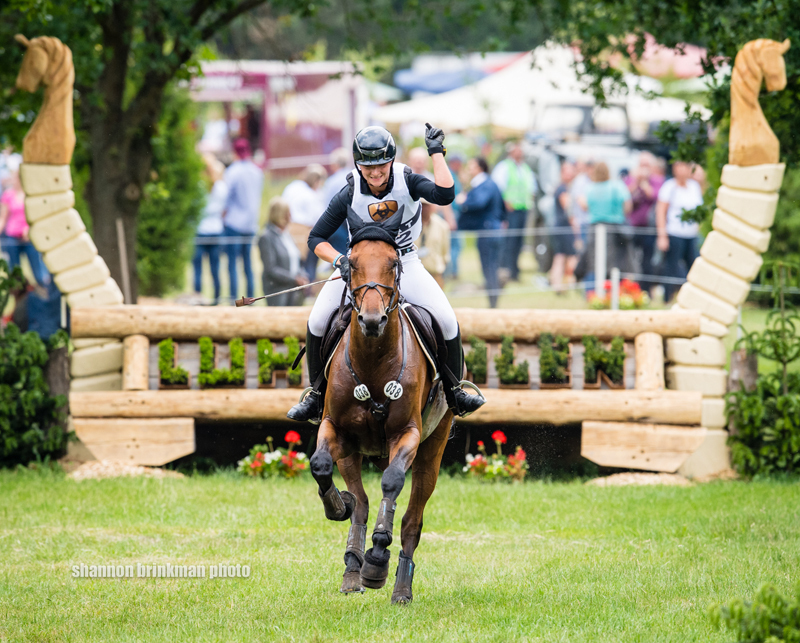 New Zealand’s Jonelle Price, who was just 3 seconds over the time allowed, climbed from sixth after dressage into second with Faerie Dianimo. 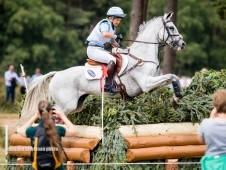 “Cross-country is simply her thing,” said Price, who already has a four-star win under her belt this spring, as she claimed the Mitsubishi Motors Badminton Horse Trials (England) with another super mare, Classic Moet. 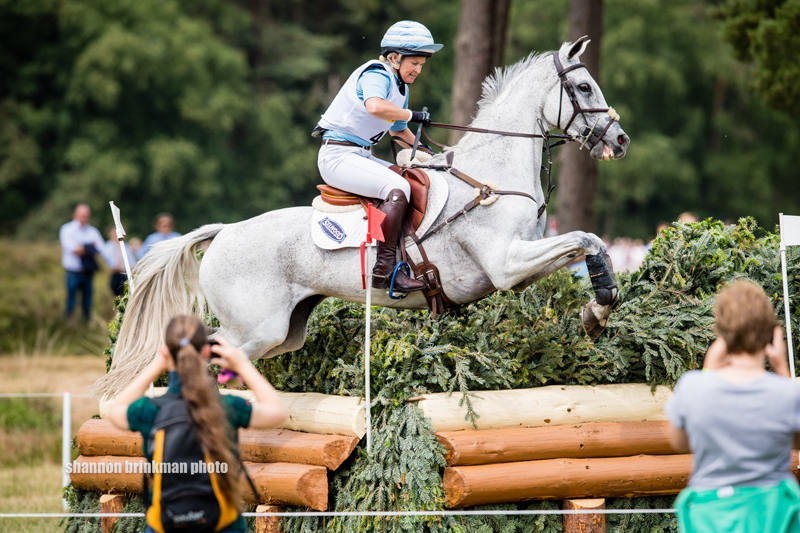 Jonelle Price’s Faerie Dianimo was a cross-country machine and moved into second place. 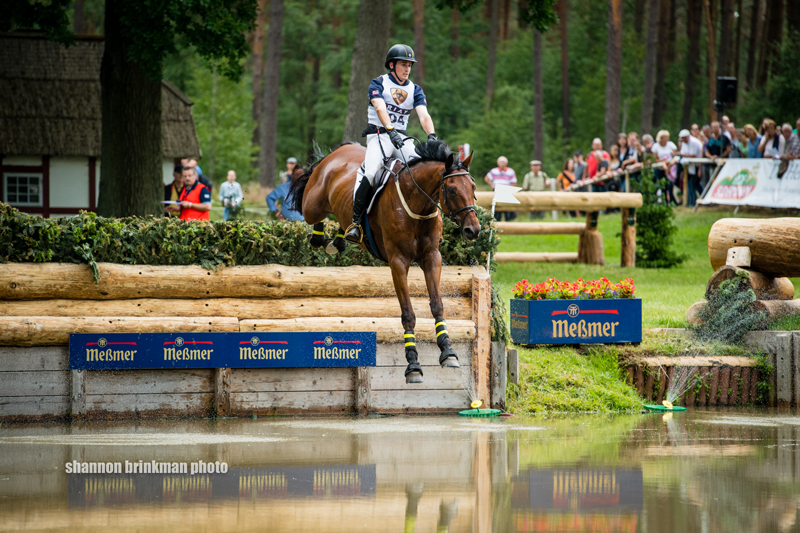 U.S. rider Liz Halliday-Sharp also clocked a clean round with four-star first-timer Deniro Z. The pair moved up from 17th after dressage to ninth with just 4.4 time faults. 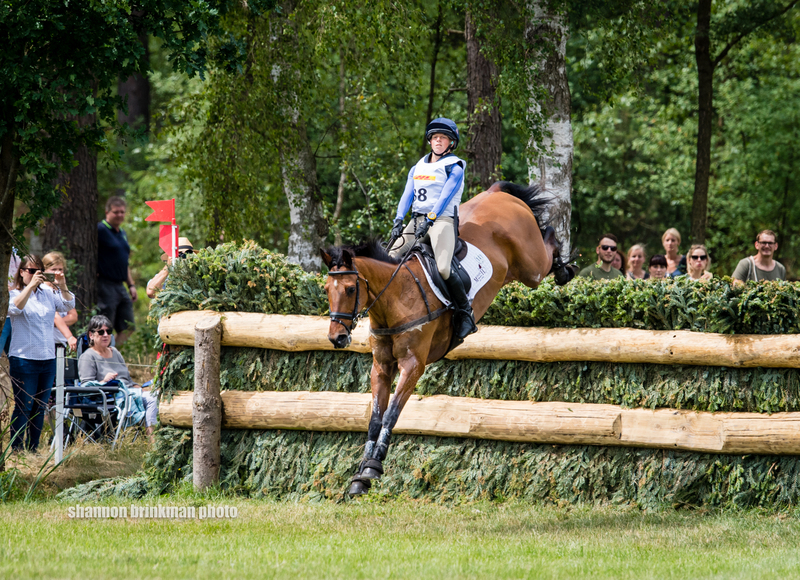 “Deniro Z is just incredible!” she posted on Facebook after her cross-country. 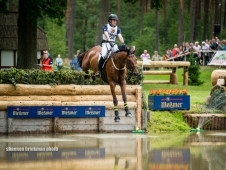 “He gave me a fabulous ride and jumped a confident clear at Luhmuhlen. 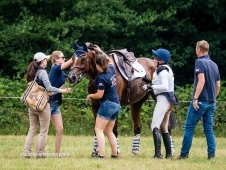 “It was a seriously tough track, and I am so, so proud of him,” she added. 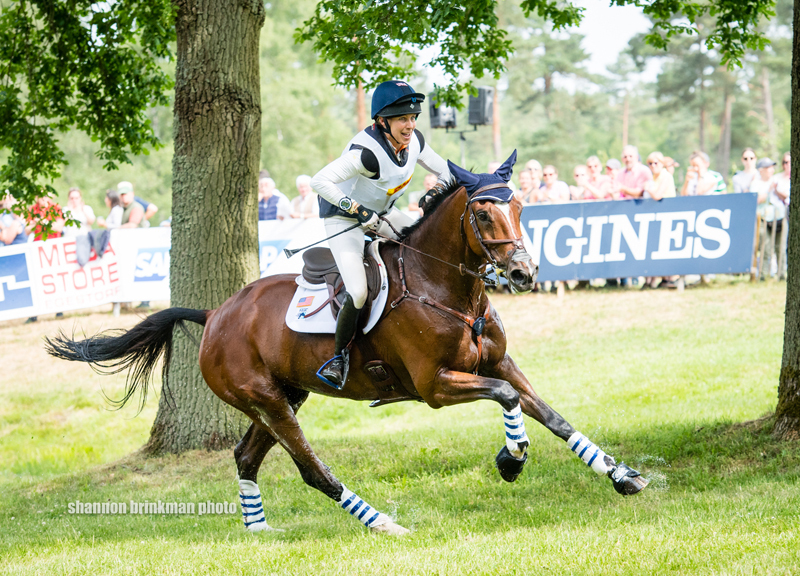 Liz Halliday-Sharp was thrilled that Deniro Z jumped a clean cross-country round in his first four-star. 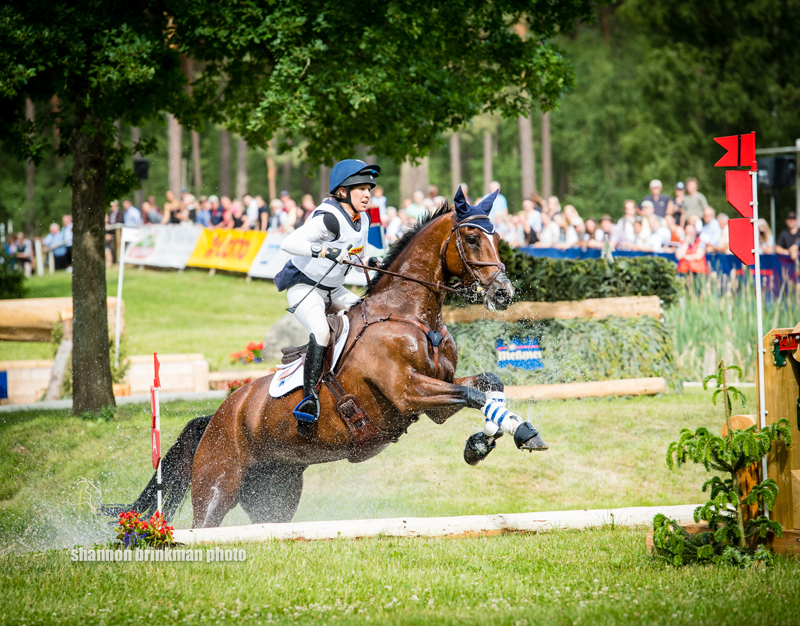 View lots more of Shannon Brinkman’s beautiful cross-country photos. 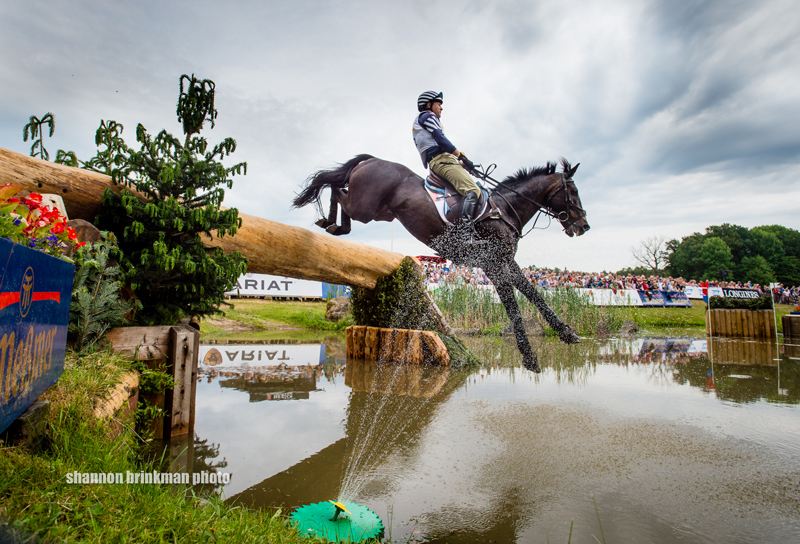 Of the 46 pairs that started cross-country, 19 jumped clean, and five finished without penalty. Ten pairs retired and five were eliminated. 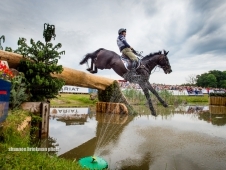 Unfortunately, Axel Z was euthanized after he suffered a fall at 18B with Belgium’s Chloé Raty. Raty was uninjured in the fall. 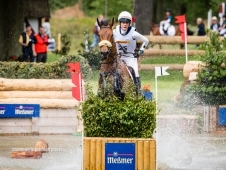 In the CIC***, Germany’s Julia Krajewski and Samourai Du Thot maintained their lead with zero faults on cross-country. 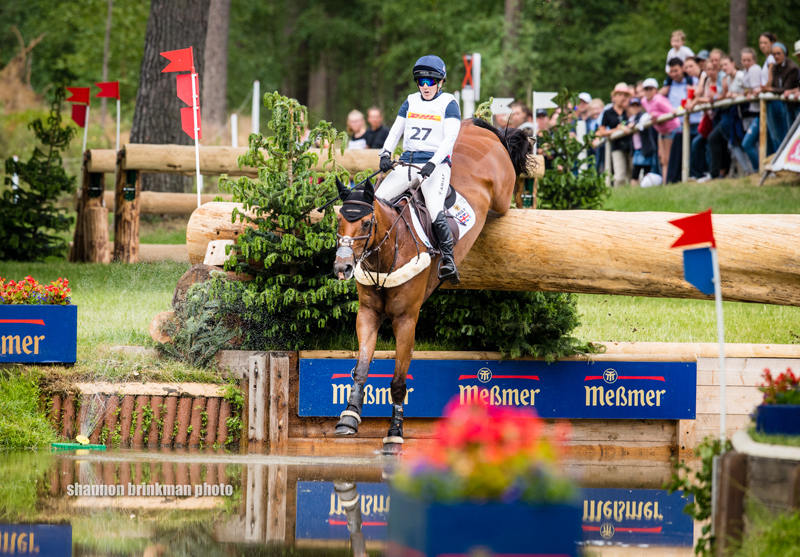 U.S. rider Woods Baughman and Maverick McNamara incurred one stop and sit 44th. 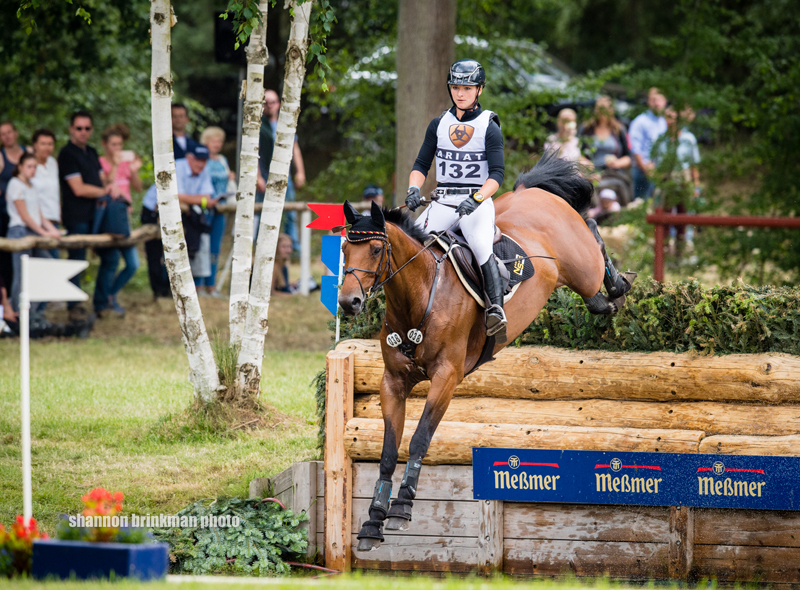 Full results are available on the Luhmühlen website. 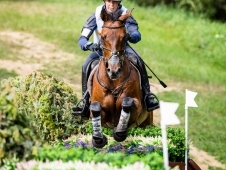 To watch the cross-country action, visit Horse & Country TV.